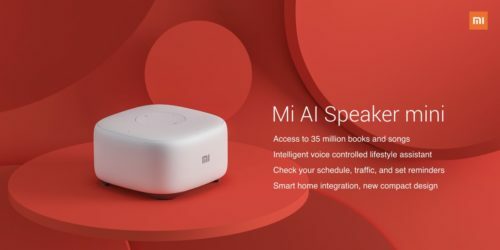 Apart from launching the Mi Mix 2S and Mi gaming laptop, Xiaomi has announced its new voice-activated assistant Mi AI Speaker Mini in China. The assistant which costs CNY 169 will directly compete with the likes of Google Mini, Amazon Echo Dot and Apple HomePod. In terms of design, the Xiaomi Mi AI Speaker Mini is a portable assistant that appears to be small enough to fit in your palm. As per the image posted by Xiaomi on Twitter, the speaker seems to come with a navigation button on top containing buttons like Activate, Play, Pause, and Next. The speaker lets you play from over 35 million songs and audiobooks from Xiaomi‘s collection. You can ask questions to the AI speaker, check your schedule, set reminders and ask about the traffic. Lastly, the device also supports smart home integration for connecting with your home automation devices. The speaker can be used to control the several products under Xiaomi’s smart home lineup. The Mi AI Speaker Mini will go on sale in China on April 3.